The island of Leros is one of the most beautiful, serene islands of the Dodecanese which is as yet unspoiled by tourists. It is the island at which Artemis, the Goddess of hunting and wild life chose to set up her illustrious throne. 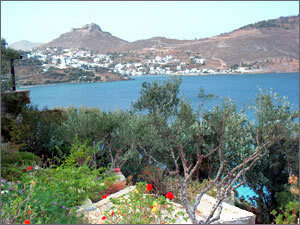 Leros has a daily flight to Athens and Cons and a regular ferry service to the port of Piraeus and Cos. It also provides a hydrofoil service to the surrounding islands, but for the more adventurous there are the traditional caiquest and fishing boats witch offer a more leisurely and relaxing means of transport. 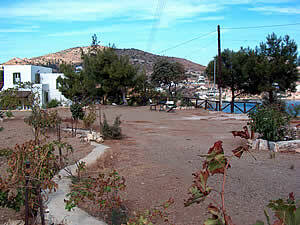 The complex of “CASTLE VIGLA” is situated in five prime acres of quiet, amphitheatrically landscaped gardens. It is set on a low hill overlooking a private bay with incredibly crystal blue water. Accommodation consists of two old stone – built, Venetian style houses and six in depended stone built studios. Each studio is furnished with elegant traditional furniture and has a living room, an Aegean styled bedroom, kitchenette and bathroom. 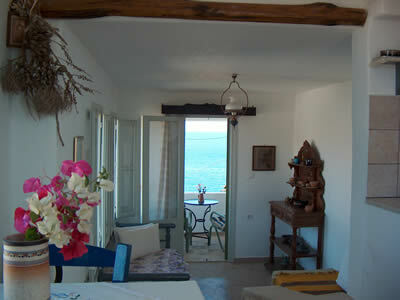 The spacious verandas offer a breathtaking view of the sea, the fortress of Leros and the village. 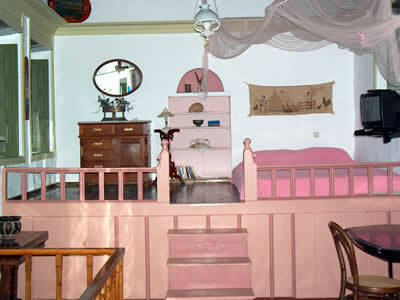 First class service is provited in warm hospitable manner that is traditional in Greece.